This complete Do-it-Yourself U.S. immigration kit includes everything you need to apply for and obtain a Green Card by Marriage to a U.S. Citizen. Our kit features step by step instructions, fillable & editable USCIS forms, and sample completed forms. The kit is in .pdf format and can be viewed and printed using the free Adobe Reader. 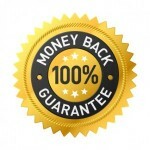 We offer a 60 day money back guarantee. If you are not completely satisfied with our product, we will immediately give you a 100% refund. In addition, if after purchasing our kit you decide that you would like to use our attorney service, we will credit the cost of the kit toward the attorney fee. Choose one of the options below. You will be able to download and use your kit immediately. You will have access to download this kit and future versions of this kit for 12 months from your date of purchase. We will email you when a new version is uploaded. You may then log in to your account and download the latest version. You may pay using Visa, Mastercard, American Express, Discover, Diners Club, JCB, or Paypal. Option #1: The Download Only Version. After placing your order, you will receive a link to download the kit as a zip file. You will also receive an email with a receipt and link to download the kit. Order Option #1, the Download Only Version. $49.95. Option #2: The CD and Download Version. Same as above (immediate download) and we will ship you the kit on CD. Shipping is included at no extra charge. The CD is shipped in a DVD case in a bubble wrap mailer. We ship using USPS (postal service) first class mail. You should receive your CD in 3-4 days after placing your order. Order Option #2, the CD Version (immediate download included). $58.95.